oom dividers for nursery are not the most functional, (and, therefore, essential) furniture units, but they are still very useful for those people who feel the need to divide their nursery into several thematic areas. Room dividers for nursery are not that different from any other, ‘adult’ room dividers you can find in stores — even though, there will be some brighter, more colourful models in kid’s divisions. Room dividers for nursery can be quite brighter and bolder than room dividers for any other room. Do not be afraid to experiment with the colour palette and choose any shades you like — even if they do not fit into ‘classic’ expectations of an interior colour palette. Combine red and blue, green and orange, yellow and pink, and so on. Another great tip would be to go with a room divider that is somehow customised to your needs. For example, you can go with a black board design and use simple chalk to change pictures and inscriptions as often as you like. The model will also come in handy for a grown kid, allotting him some space for his own creativity. At the same time, you should think over the ways of making the divider a part of your room. For example, it can be used to contrast your wall colours, or can have some thematic, matching pictures. Room dividers for nursery will not stay in your home forever, which is why going with an overly expensive model does not make any sense. So, look for something affordable — perhaps, even check out a couple of sales and clearances — quite often, they offer a lot of interesting, high quality solutions at a highly appealing price. At the same time, do not forget that quality should be high — especially, while shopping at sales and clearances. Room dividers for nursery should feature durable build and eco-friendly materials. And, of course, pay attention to the design — ideally, it should neither be too trite, nor too obtrusive. 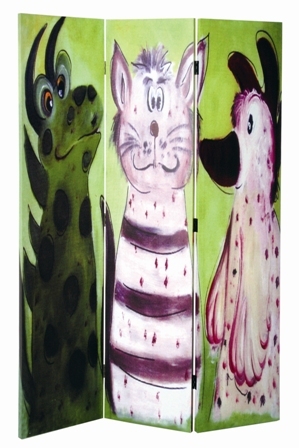 Dozens of room dividers for nursery, varying in shapes and colours, can be found at Furniture in Fashion online store. This is one of the leading UK e-commerce platforms, offering a gorgeous selection of finest quality items at a reasonable cost. And, differently from the majority of online stores, this company also has a showroom in Farnworth, where you can personally examine any furniture items you like. Sure, this is not always necessary while shopping for room dividers for nursery, but if you are looking for a complete bedroom or living room furniture set, a chance to personally examine the units before buying may prove very beneficial.